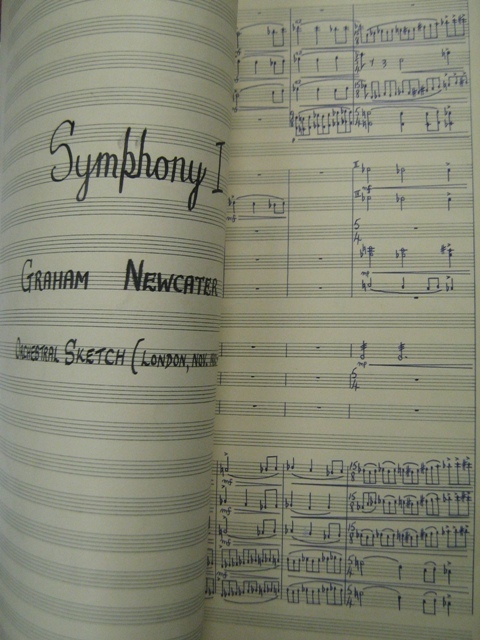 Graham Newcater, South Africa’s most celebrated twelve-tone composer, has donated a number of valuable musical autographs, sketches, photographs, letters and art works to the Documentation Centre for Music. 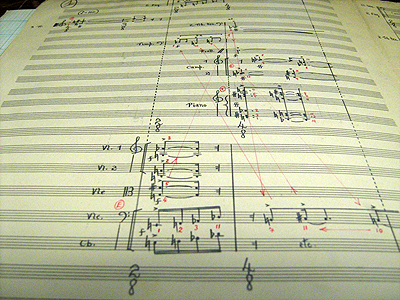 These include autograph scores of his 1984 String Quartet, sketches and autograph score of the Variations de timbres (1967) and youth works and exercises. 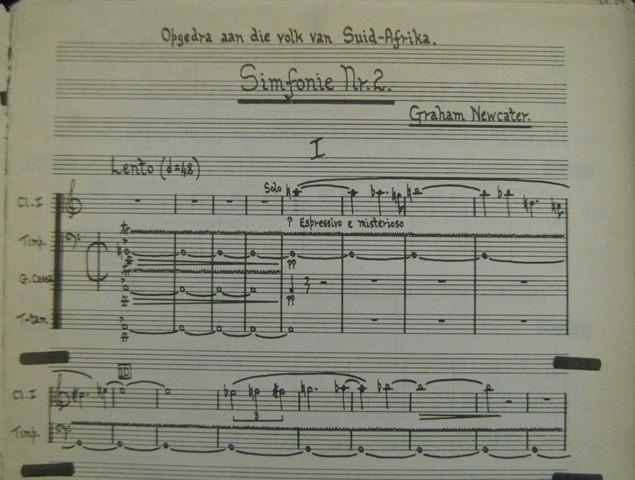 Although the single largest collection of Newcater material in South Africa, the donation constitutes only a small part of Newcater’s musical and literary estate, as most of the composer’s original scores reside in the libraries and archives of commissioning bodies like the SABC and SAMRO. With the help of the composer DOMUS is embarking on a project to bring together authorized copies of this material in Stellenbosch to add to the comprehensiveness of the collection. Graham Newcater was born in Johannesburg on the 3rd September, 1941 but had most of his education in Durban where the family moved to in 1948. There he ended his schooling by studying mechanical engineering at the Natal Technical College during which time he studied music privately, having clarinet lessons and postal lessons in composition with Arnold van Wyk who was at that time lecturer at the University of Cape Town. Returning to Johannesburg in 1958 Newcater worked in the motor industry and continued his music studies, this time having composition lessons with Gideon Fagan. In 1962 he won a scholarship issued by the South African Music Rights Organisation (SAMRO) which took him to London for two years study at the Royal College of Music, studying composition under Peter Racine Fricker and conducting in his second year under Sir Adrian Boult. In 1965 Newcater was back in Johannesburg where he worked for a short time at the South African Broadcasting Corporation (SABC) but in 1966 returned to London where he won the Ralph Vaughan Williams grant for that year on the recommendation of Howard Ferguson, Robert Simpson and Humphrey Searle with whom he studied privately for six months on the strength of this grant. At the end of 1966 Newcater returned for the final time to Johannesburg where he again worked for a brief time at the SABC. 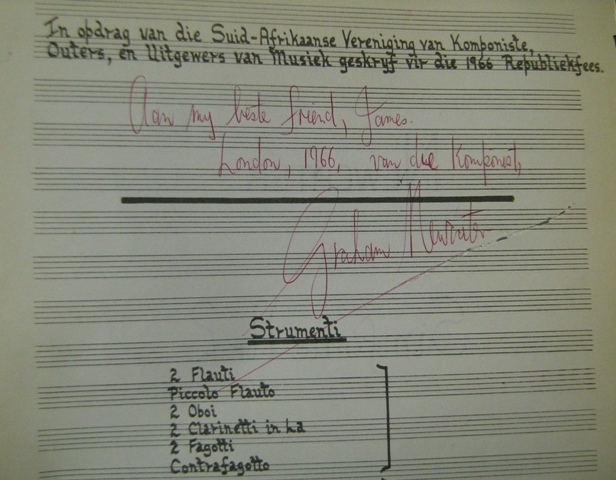 On the strength of the success in Johannesburg and elsewhere of his First Symphony (begun in London in 1964 and completed on his return) he was commissioned by the Performing Arts Council of the Transvaal (PACT) to compose the score for the ballet Raka based on the poem by N.P. van Wyk Louw. 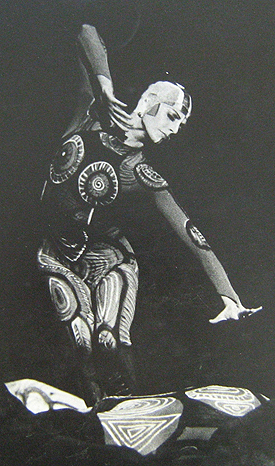 This ballet proved such a success that it was soon made into a film which was distributed worldwide by 20th Century Fox. DOMUS received a donation of Newcater autographs from a James Woods, a friend of the composer since his stay in England in the 1960s. The autographs include Newcater's Concert Overture, Variations for Orchestra, Symphonies no. 1, 2 and 3 (includes sketches) and Three Pieces for Violin and Piano. "When Graham Newcater came to England in the early 1960s he took a room in an apartment block in London, at 15 Rugby Mansions, Bishop Kings Road. My parents, who lived at number 13 immediately below, were very friendly with Mrs Williams, Graham's landlady. So I came to know Graham through Mrs Williams. He and I had a common interest in contemporary classical music, he as a professional practitioner, I as a keen listener. And we had a tenuous link, in that one of Graham's teachers, Peter Racine Fricker, had recently been the recipient of a commission from the brewery company, Arthur Guinness, for whom my father worked and who was involved in the commission (for, I believe, the third symphony). Indeed, I was one of the people who suggested that Fricker be put on the short list to approach for a commission. I rapidly came to admire Graham's music and enjoy his company. We even talked about collaborating on an opera (on Caligula) for which I would write the libretto; but I hadn’t written more than a couple of scenes before Graham returned finally to South Africa and I discovered I had no talent for drama. I was working for British Rail in operational research during Graham’s stays in England, and continued working for the railways – either as an employee or as a consultant – until I retired in 1996 at the age of 57. I married my wife Lis in 1976."